April is National Poetry Month, and the Oscar Rennebohm Library is celebrating with Edgewood College’s English Association! Stop by the library to see a collection of poems written by our favorite poets, from Rupi Kaur to Edgewood’s very own Adam Fell! Want to write a poem of your own? Why not give blackout poetry a try! Blackout poetry is created using pages of books. Using the existing text on a page, you can pick out words or phrases to create poems. Black out the rest of the text, and you’ve made a blackout poem! You can keep it simple or get creative with your pages! 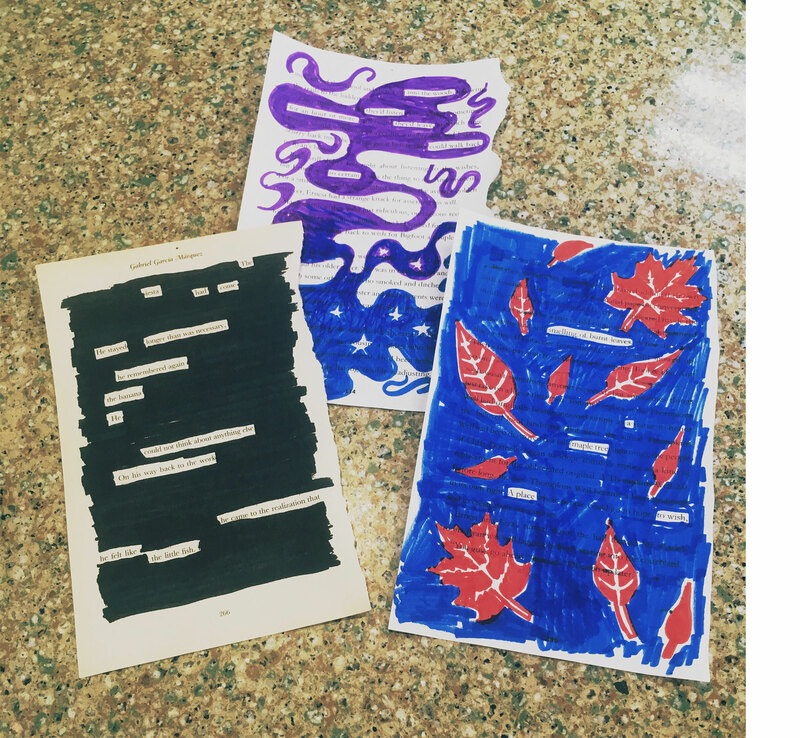 A space and materials to make blackout poetry are available by the staircase in the library. Feel free to keep your poem or post it on the bulletin board in the library! For more information about National Poetry Month, please visit www.poets.org/national-poetry-month/!